Time Sheets are available with FlexTrack and PowerTrack plans. Do You Know What You're Missing? Reinvent your staff scheduling. Create and save recurring work schedules to use again and again. Use Auto Schedule to generate random schedules, based on employee availability and filtered by job skills. Employees can always view schedules on the Web or with TrackSmart employee scheduling apps for smart phones and tablets. With self-service features, the online scheduling software lets your employees swap shifts and make time-off requests, so you’re freed from tedious phone calls. Take a break from worrying. Our employee scheduling program alerts you to how many breaks are required by law and whether a schedule is legally compliant. 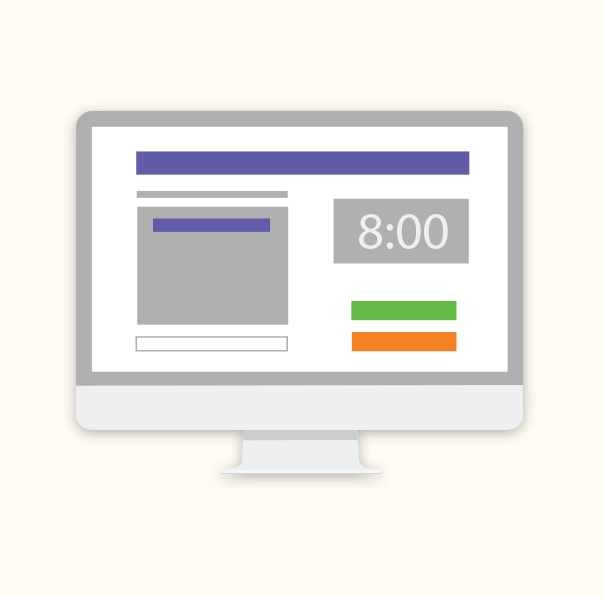 The simple employee scheduling tools will even set specific break times. Create work schedules in seconds with one click. Set schedules to repeat daily, weekly or monthly. One look tells you if every shift has enough people so you’re never under-staffed again. With access to schedules and shift-swapping from anywhere, your staff knows when to show up and get to work. Detailed reports let you finish payroll faster and more accurately to help contain labor costs. Manage and edit staff schedules from anywhere and give employees instant access, from any Web-enabled device. Work confidently knowing that our Customer Success Team has your back. Just call or email and get help from actual live humans. Email memberservices@tracksmart.com, or call 877-457-4855, Monday - Friday, 8am - 5pm, ET, to talk about upgrading your CoreTrack Plan.